A next-door neighbour to our Chalet Les Arols Bleus, the Mélèze Doré offers tastefully appointed bedrooms and living areas, all in the finest traditional Savoyard style, and complemented by beautifully fitted en suite bathrooms throughout. The big picture windows from the lounge and dining-room, and the spacious balcony, look out over wonderful views across the valley. The open fire is a natural focus for the stylish living area, with its bright colourful furnishings and handsome wood-panelled walls and ceilings. Sliding doors to the balcony extend the living area still further, especially on those sunny bright Alpine afternoons. Our chalet was excellent, the staff were really helpful and friendly, the food was excellent. In particular the chalet staff really put effort into making the food as good as possible, and the afternoon cakes were delicious. 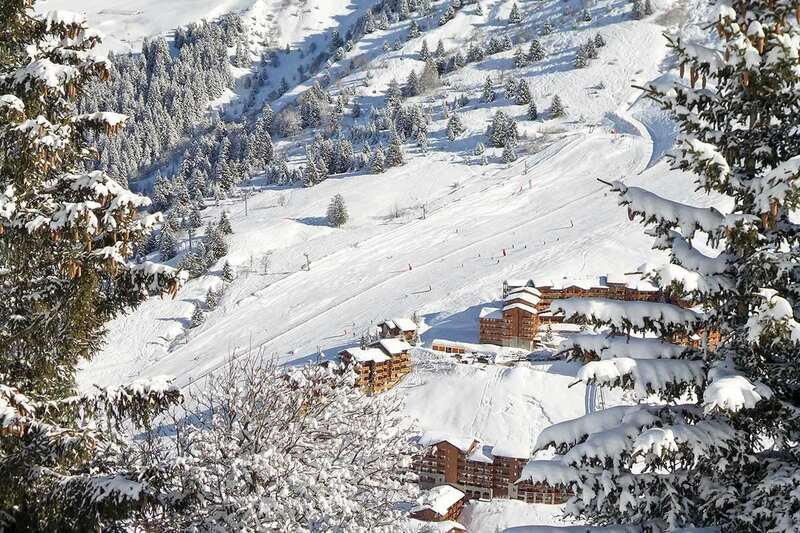 Meribel is a great resort with fantastic access to so many runs and other valleys. The only small downside was the unusually hot weather meant that the slopes were slushy in the afternoon but we just stayed high and the queues at times for the lifts could be long. We would definitely recommend this resort and we've been on more than one occassion, chalet holidays are the way to go as they are so sociable.